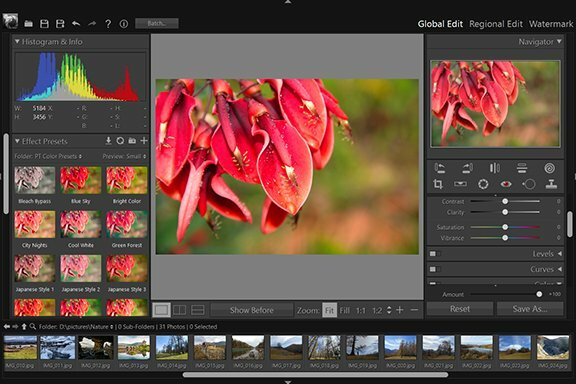 Presets - Regional Edit - User Guide of PT Photo Editor - Easily rescue problem photos. Make every shot its best. Presets provide a way to save a group of adjustments and apply them to other selective regions. Apply a preset: Click and choose a preset from the Preset drop down menu. Create a preset: After making some adjustments, choose "Save current settings as a new preset" from the Preset drop down menu, then type a name in the Preset Name box and click OK.
Update a preset: Choose the preset you want to modify from the Preset drop down menu. After changing the adjustments, open the Preset drop down menu again and click "Update preset ***". Delete a preset: Choose the preset you want to delete from the Preset drop down menu. Then open the Preset drop down menu again and click "Delete preset ***". Rename a preset: Choose the preset you want to rename from the Preset drop down menu. Open the Preset drop down menu again and click "Rename preset ***". Type a name in the Preset Name box and click OK. Restore default presets: Choose "Restore default presets" from the Preset drop down menu.